Filmmaker Michael Moore started an online fuss over the weekend when he called snipers cowards, except if you were protecting your homeland. The two tweets were said by commentators to reference plot points in the the movie "American Sniper" which I saw yesterday. I thought it was a powerful and touching movie, and while I'm not a big fan of war, I respect soldiers and the role they play to protect civilians when necessary. The movie so far has six Oscar nominations, and broke highest grossing record for January after leading the weekend box office. And in the wake of people seeing the movie, the Twitter war continued with sides for and against Michael Moore's tweets. But if you're on the roof of your home defending it from invaders who've come 7K miles, you are not a sniper, u are brave, u are a neighbor. Michael Moore then had to write a Facebook post to better explain what he meant and that he was not referring to the movie "American Sniper" in his tweets. He shared a link to the post on his Twitter too. 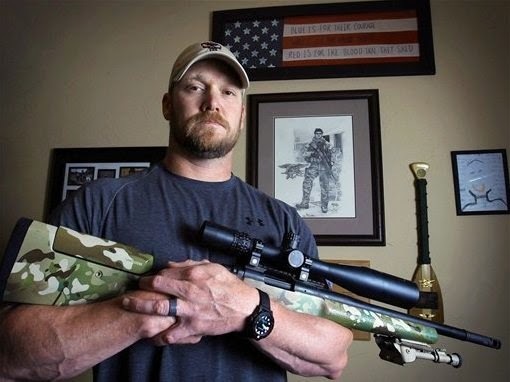 "Lots of talk about snipers this weekend (the holiday weekend of a great man, killed by a sniper), so I thought I'd weigh in with what I was raised to believe about snipers. My dad was in the First Marine Division in the South Pacific in World War II. His brother, my uncle, Lawrence Moore, was an Army paratrooper and was killed by a Japanese sniper 70 years ago next month. My dad always said, 'Snipers are cowards. They don't believe in a fair fight. Like someone coming up from behind you and coldcocking you. Just isn't right. It's cowardly to shoot a person in the back. Only a coward will shoot someone who can't shoot back.'" Read the entire FB post below..